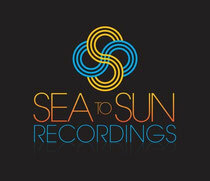 Sea to Sun Recordings, the US label owned by No. 1 Billboard Club Play singer/songwriter Sylvia Tosun and hit producer/songwriter Anton Bass, has revealed an array of high profile collaborations, media co-branding alliances and music that’s set for release from some of the most dynamic, genre-forward producers in music today. Starting the Miami experience off, Sylvia Tosun will showcase her vocal range as one of dance music’s true singer/songwriters at Biscayne on March 21 at 9PM. Supports comes from Jes, Nadia Ali and Kim Sozzi. Also on the 21st, Sea To Sun host the Mixmag DJ Labe from 12-2PM (ET). This event is part of Mixmag’s new streaming series and will be hosted by the label on a private rooftop penthouse in South Beach. Mixmag will broadcast the event with Sea to Sun artist performances from Sted-E & Hybrid Heights and Anton Bass. The label also has new music out at Miami time. Club tracks from the likes of Sted-E & Hybrid Heights and Sylvia Tosun are both uniquely flavoured, ranging from ethereal vocal trance, bangin' electro, NYC deep house and melodically charged progressive beats.